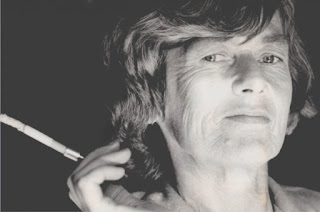 Dulcie Castree (above) wrote this novel in 1986. It was never published. Until now. Taiwhenua is a small seaside community on the west coast of New Zealand. Baches, caravans and modest seaside homes face the sea and the setting sun. We are all familiar with these places, where the population explodes at holiday times. They have their share of eccentrics, do-gooders, newcomers, and people who have lived there for generations. Four very different women connect by chance. The voices of women, and the voices of the land, the sea and the rivers all play their parts. We must not forget the husbands and boyfriends either. For this is a novel that cleverly captures and celebrates ordinary lives, and the strength and power of nature and personal history. The sense of unease stays firmly in the background. Until something happens that changes everything. Bleak and funny, personal and profound, this is a novel with a deep sense of place, and understanding of people. It is a compelling read. Dulcie Castree is the author of many published short stories. This is her first and only novel. She wrote it when she was 62. She died in January 2016 at the age of 91. The book was published in Wellington last evening and book trade identity Marion Castree advises the launch was a most successful event. Dulcie is my mother,and she wrote this novel in the 80's but it was never published. We all (the family) dreamed of publishing it , but it took my our son Finn to take the reins and make it happen. Dulcie's maiden name was Rowan. It's a collective family thing. Dulcie died this last January at home at the age of 91. We had all lived together, Dulcie, my partner Dean Johansson and our son Finn for the last 16 years. We were very close. I have three other sisters who have all been involved in this publishing project too. Dulcie knew before she died that publication was going to happen.